Rent a Maybach in Miami for a day or take it for a weekend. 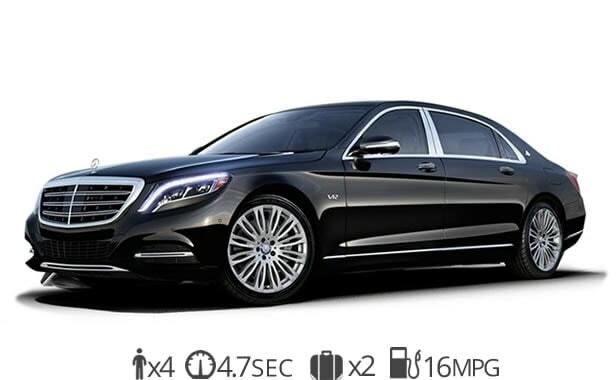 The Mercedes-Benz Maybach S600 is the top of the line when it comes to luxury sedan rental in Miami. The Maybach is the largest sedan in the Mercedes-Benz lineup and provides unmatched attention to detail and comfort. It is equipped with all the latest tech in German automotive engineering. Our Maybach rental service comes with FREE delivery to Miami International Airport. We also have delivery options to Miami Beach, South Beach. Downtown, Doral, Brickell, Midtown, or anywhere in South Florida. Experience Miami in of the best luxury car rentals in the world. The Maybach s600 rental has an unmistakable presence of luxury. At first glance, it might look the same as an S500 but the Maybach is much more. For starters it has a lengthened wheelbase make it the longest luxury sedan that Mercedes-Maybach manufactures. The interior provides an oasis of luxury comforts including massage seats and reclining rear seats. These subtle yet substantive refinements make it a perfect car for executives and celebrities to travel in. We offer free delivery to Miami International Airport and also provide delivery services to anywhere in South Florida including Doral, Brickell, Downtown, Wynwood, Miami Beach and South Beach. Let us deliver this beautiful luxury sedan to your hotel, business or residence today! Ready to rent a Maybach in Miami?